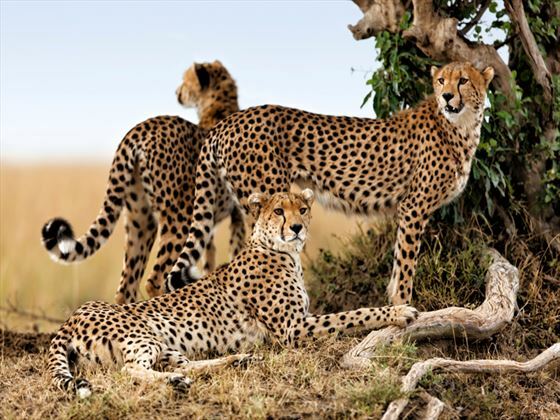 Which sounds best to you: an adventurous safari that takes you to the heart of the Masai Mara to see the continent’s most amazing animals or a luxurious, all-inclusive holiday on the stunning island of Zanzibar? Can’t decide? Don’t worry – you don’t have to. 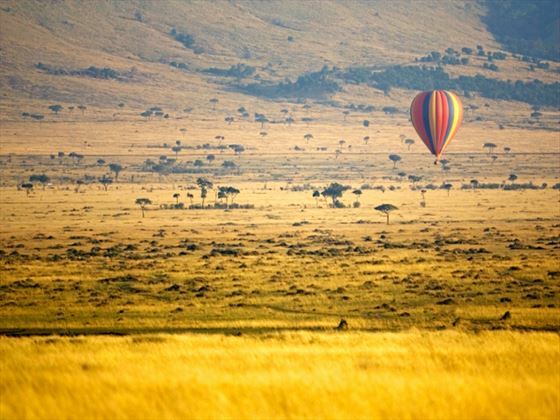 This amazing 10-night experience takes you to the plains of the Mara for four nights before whisking you over to Zanzibar for some well-earned relaxation in the gorgeous Gold Zanzibar Beach House & Spa. 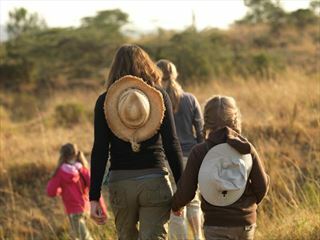 This is the holiday of a lifetime and a luxury experience that is worth every penny. 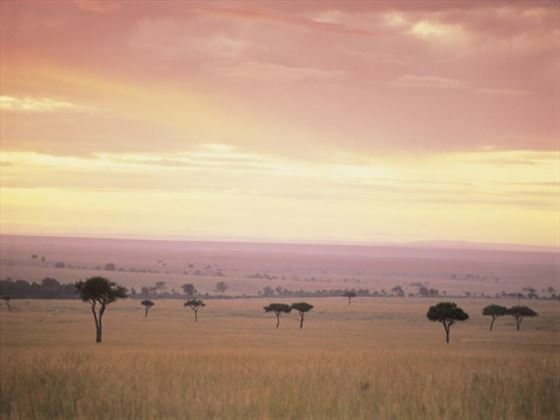 You’ll arrive at Nairobi International Airport and transfer to the smaller Wilson Airport just across the city. 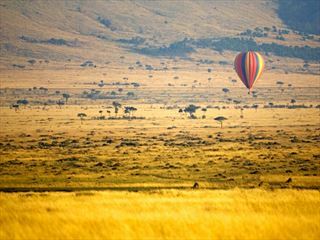 From here you’ll take a short, 45-minute flight to the Masai Mara National Park. 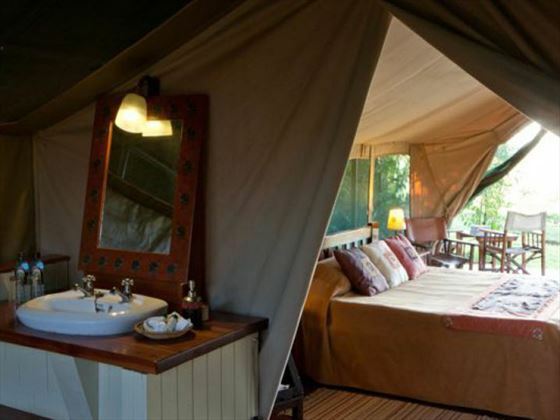 This is where the adventure begins – you’ll be picked up by a 4x4 vehicle and taken to Governors' Camp in the north of the park. 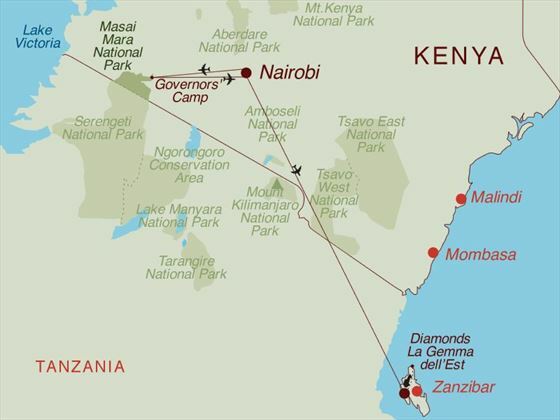 In the morning you’ll take a light aircraft flight back to Wilson Airport and then transfer to Nairobi International Airport where you’ll take your next flight to Zanzibar, which will take around an hour and half. 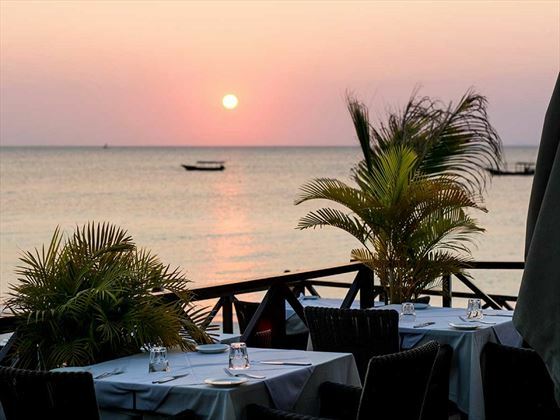 On arrival in Zanzibar you’ll transfer to the idyllic Gold Zanzibar Beach House & Spa. 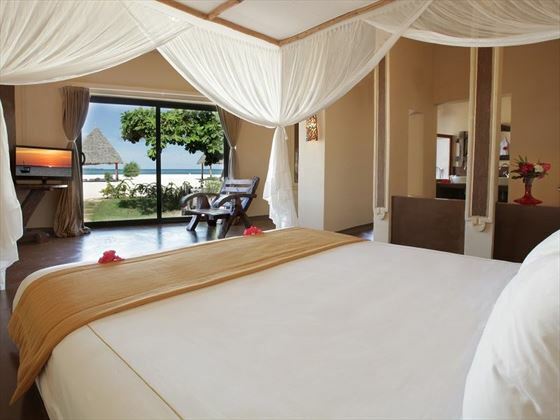 This stylish resort is located on a gorgeous white-sand beach in north-west of Zanzibar, one of the most desirable locations on the island. Calm and clear waters lap the shore all day long. Days can be spent enjoying the stunning scenery this area has to offer and the only interruption you may have is a bar waiter bringing you a thirst-quenching cocktail to cool you down. For the more active person there is a fully equipped gym and the nearby watersports centre offers scuba diving and snorkeling as well as sunset cruises and big game fishing. 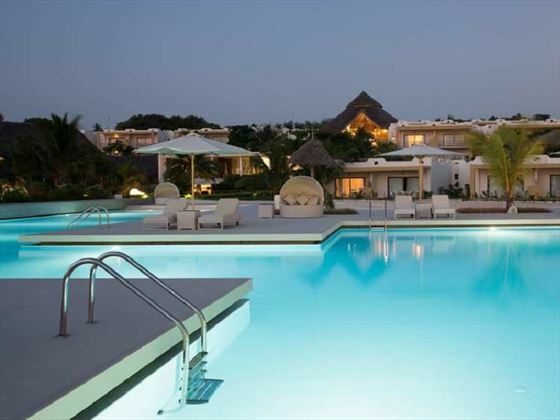 If you prefer to swim in a pool you are definitely in for a treat as this hotel offers the widest pool on the island. Today you’ll check out and then transfer back to the airport to begin your journey home. 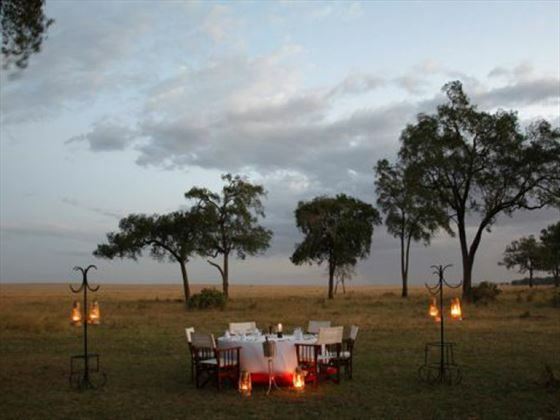 Breakfast, lunch and dinner at the main restaurant Kilimanjaro (during theme night the location could be on the beach or around the pool without any extra cost). Water, fresh juice, soft drinks, local beer, selected house wine, cocktails list. American coffe and tea. Afternoon tea at 5pm. Mini bar: one refil per day. All inclusive package is valid from 10:00am to 11:00pm. Including all quality spirits from the bar list, a selection of quality wines by the glass (except Champagne and Cognac), possibility to eat lunch and dinner in the a la carte restaurant, possibility to order light meals and snacks on the beach or poolside. In room breakfast on request. Espresso and Cappuccino. Flights are available from Dublin with KLM via Amsterdam and operated by KLM and partners. Air fares vary considerably so a variety of airlines may be included in your quote to ensure you are presented with the best available price. If you would prefer to fly from a different airport or with a different airline, our Travel Consultants will be happy to adjust this at the time of enquiry and a supplement may apply. 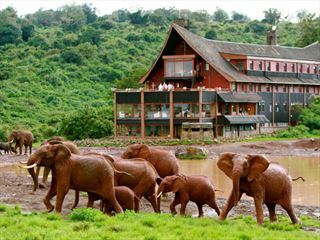 Alternative airlines with flights to Nairobi include British Airways and Emirates. 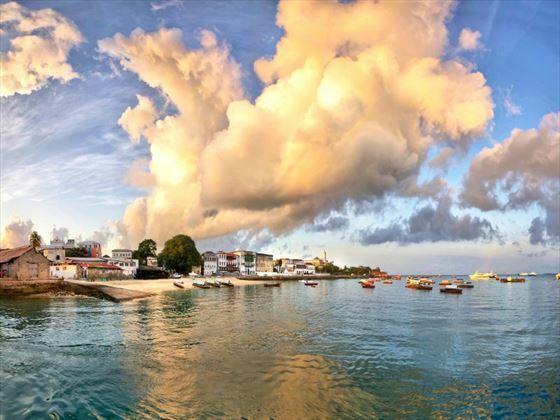 Fantastic Saving Book by 30 Apr '19 and save up to €350 per person for a 7 night stay, PLUS receive a FREE meal upgrade to All Inclusive at Gold Zanzibar Beach House & Spa. Travel between 15 Mar - 31 May '19. Discounts are included in the prices shown; Minimum 7 night stay & black-out dates apply.